Continuum of Care Retirement Communities (CCRC’s) are retirement homes in Atlanta, Georgia that offer different levels of care all within the same general location.  Seniors typically begin their tenures in either the independent living or assisted living part of the community. If a day comes when they need extra care, it is no problem at a CCRC, as they will transferred to the skilled nursing unit. They will not have a feeling of needing to start all over, as they will still be in contact with some of the same residents and patients.